Pocket stringing services require a two week (10 business day) production process. You can purchase a Speed Pass if you want your pocket sooner. Need your pocket faster? Use StylinStrings Speed Pass to expedite your stringing service. A Speed Pass option is presented in checkout for qualifying orders. 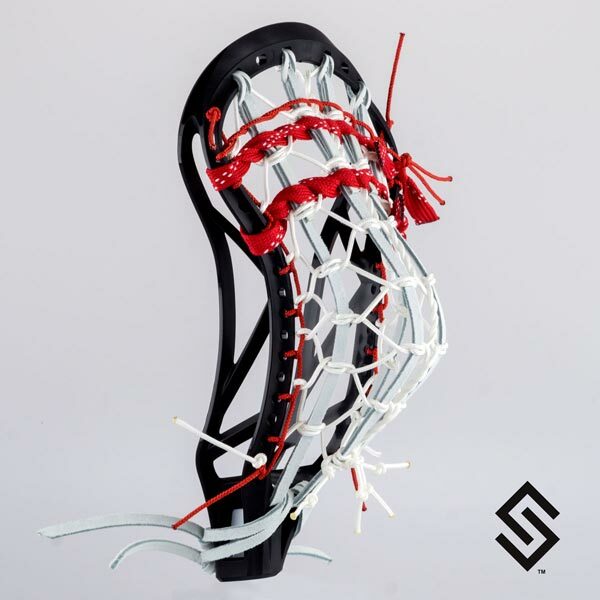 The StylinStrings Pita Lacrosse Pocket is one of the most popular lacrosse pockets in the game! The Pita has also been called the Dog Track Pocket and it was originally developed at Loyola. The tight and sturdy center channel will give you a nice accurate and fast release. The Pita is always a great choice. Choose any color sidewall, crosslace, leathers, and shooting strings to make this 4 leather Pitta fit your personality. Braided string that attaches outer channel to sidewall in such a way that it creates a channel in the pocket. Rolled hockey lace used to adjust the whip and the release of the ball. Choose where you would like us to place your pocket. Choose the amount of whip to build into your pocket.